I am not a Prophet and do not claim to operate or stand in that office but I do believe God speaks to His friends. So I feel prompted by the Lord to speak this Prophetic Word. I speak it in faith. Judge it according to the Spirit. God is going to open the eyes of the Physicists as He opened the eyes of the Magi. Both Quantum Mechanics and Relativity. Dimensions are being opened and Paradigm Shifts are coming. New wineskins. New unshrunk clothes. I see God wiping the chalkboard clean and giving new formulas and protocols. I see theories being molded by the Spirit into realities. I see these as Secrets being given to His friends in those fields. God is saying He will be know by His creation and He will be given honor and He will be worshiped. Again I am not a prophet and I do not claim to be. If this be from Him amen and if not, let it fall to the ground. If you are reading this and have seen my blog before you will have notice I changed the theme. I was wondering if the previous one was hard to read due to small font size and slight color clashing and it was confirmed so I have chosen the current theme. Blessings beloved of our Father! At first glance this is a very general word but to me it spoke with volume. This confirmed by desire and calling as an inner healing & deliverance minister along with traveling and speaking and confirms another vision in which I saw myself on a stage preaching and people coming to the front to get saved and healed(after I saw that vision I wept and asked God, “Is this me?” and “Can I do this?” I wept because it is my heart’s desire and want to be walking in my full birthright and destiny). This goes along with what the speaker said about how I lost my voice as a child and have been regaining it. Regaining because it was stolen. The speaker also spoke about my desire for evangelism as a healing evangelist. I know there are probably several images that come with that title but I’m not talking about selling spring water or gems on TV. Healing is 100% gospel. If we are cleansed by His blood then we are healed by His stripes. I think the image above is prophetic in itself because the Eagle’s head is turned and looking at you. God most definitely takes notice of His children. I love it because I’m not following a prophetic or a word but what God has already placed inside me. I do love the confirmations though. They are like sign posts letting me know I’m going in the right directions. 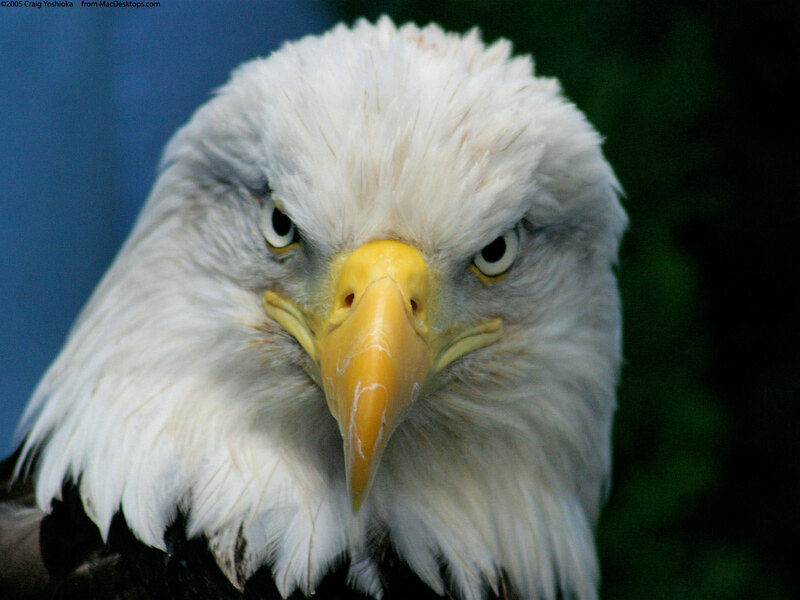 The Eagle is one of the faces of God. I’ve had dreams of eagles and hawks too and they were very interesting. He also spoke about God giving me ideas on how to make money in order to provide for my wife and I and future children. This is more of a “Hey, maybe start thinking about this and seeking the Lord to see if this is legit.” I’ve been wondering how a person like me with no credentials, except for Elijah House certificates, or super super-natural experiences can get involved in ministry. I don’t really know anyone involved in itinerant ministry in my circles and how to even do that….which is awesome because it will have to be God’s doing. Plus I am deathly afraid of public speaking…which is part of regaining my voice. I literally tremble when I have spoken from a microphone. I had a dream where they was a line of people going up to a microphone and I was the next person up and then woke up from the dream. Also, during a Sozo, I was in this open field where most of my walls have been destroyed and there was one section with a small section still up. I asked God to remove it and a microphone was on the other side. Some of this is on my previous post but I’m sharing again 🙂 I also had a word from a women at my church about God giving me understanding but soon He will loose my tongue and start speaking (which I will share at my local Celebrate Recovery meeting the second Monday of Feb.) Firstfruits maybe? So these are just my thoughts and processes I go through when balancing my heart’s desire and reality. Receiving confirmations like I did are like a defibrillator for hope by keeping it alive. In the meantime I must focus on my Father and choose Presence over promise at all times. I place where my soul rests in Him. A place where fruit is my foundation as opposed to gifting or service. Bring my future into today. See the character I need in the future that will sustain the gifting and bring that character into today. Receiving confirmation via prophecy is a beautiful experience where God openly honors you among His children and world. Prophetic words are promises where we must co-labor with God for their fulfillment ,generally speaking. The speaker looked at my shirt and it said New York City on it and mentioned about how God is moving in NYC and there was a meeting of business men where the Holy Spirit fell on the meeting. I personally love going to NYC and can’t wait to visit again. I love looking back on the words I have received directly from my Father and through my brothers and sisters. It tells me that we are in this together. There are many of my readers who I would to meet but may never until Jesus returns or in heavenly glory. I look forward to that day. A time where, along with our older Brother Jesus, we as sons and daughters are fully known and loved by God and ourselves. People have destroyed with their character what they have built with their gift. Another nugget comes from Wade Taylor’s book, “Secret of the Stairs” as least I think so. I don’t want to misquote or say the wrong book but I believe it’s from his book. When walking with God comes a revelation or riser of a stair then a walking out of it first step before a another riser of revelation comes and then walking that out and so on and so on. So I’ve had this picture of a beautiful house. Decked out on the outside with fancy and exquisite windows, doors, shutters, etc. Looks great from the outside. But when on the inside it’s empty without even drywall or proper supporting beams, trusses, etc. Looks good on the outside but inside it’s full of the bones of dead men, if I may borrow Jesus’ estimation of things. To add some grace, those bones can be seen with flesh and sinew coming back to them. I do want to say I love those who God is downloading pioneering revelation and preparing the way for His second coming. It’s a hard road to be on when the pioneers are trudging through new territory and the settlers mock them from a distance. We need to intercede for them. In the Old Testament (Ex. 28) we see the priestly garments had a breastplate, robe, a turban with “Holy to the Lord” written on it and bells and pomegranates attached to the hem of the robe. What I want to focus on are the bells and fruit. We know they are 9 gifts of the Spirit(that are active on earth now) and 9 fruits of the Spirit(which are active on the earth now). You can’t have one without the other (cessationism is heretical but I’m not going to go there). I grew up in the non-denominational charismatic church all my life with a brief stint in a beautiful Methodist church full of beautiful people. I’ve seen the fruits, flakes, and nuts in Charismatica. I’ve also seen the beautiful bride within cleansing herself of every spot and wrinkle. And I love them all the same. But what I see these days is great and needed but needs refinement. (Heb. 5:14) People are seeking the Father like never before and He is revealing Himself like never before. God is revealing Himself in the Scriptures more and more. God is doing new things and more and more people are stepping into them. But some lose the fruit on account of the gifts. When the fruit should be the foundation and furnishing for the gifts to operate in full capacity and glory. We see in the OT Tabernacle two tent pegs holding up the tent poles all around. One being Spirit and the other Word. We do not live 50% Word and 50% Spirit but 100% of both. We do not live 50% gifts and 50% fruit but 100% of both. I am sure there are many studies on how the 9 fruit line up with 9 gifts like this one: 9 Gifts and 9 Fruits. This isn’t my teaching and I’m unsure of the other stuff on that site but it’s a reference. But I would say some walk around as revelation junkies. Almost like a fix. Addiction to experiences can lead to an unhealthy dependency if not fueled by a passion for Presence. We need to seek the gifts! (1 Cor. 12:31). But need to seek the agape Love that God is. They act offensively to expose the religious spirit but, in doing so, expose their lack of fruit. They use middle fingers and equate God with a drug which I believe is offensive and grieves the Holy Spirit. A true father knows the current state of his son and responds to him appropriately. 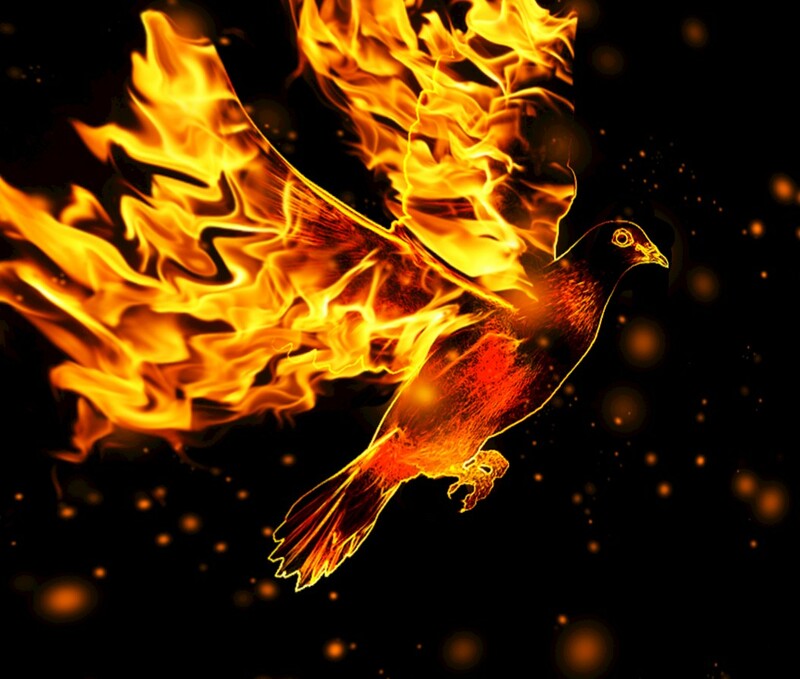 Nevertheless the Holy Spirit still dwells in them but only in the corner of their housetop (Prov. 21:9). Truth is offensive in and of itself. Let your light shine, don’t make it shine I say. Revelation apart from the testimony of Jesus can lead to an improper balance in life and lead to a twisting of divine truth. (Col. 2:18). That scripture is not say we can’t have visions and walk after what we saw but it must lead to humility and fruit and submission to the character of God. Gifting apart for character leads to pride which is before a fall. Don’t get me wrong there is a grace for pioneering in the Spirit. Almost all pioneers get ridiculed and it’s not my heart to come against them but provide a foundation in which gifting can be supported. Now this isn’t a works righteousness here. All things come through grace and faith. Faith is dead without works because you know them by their fruit. All of us need healing in our lives and without healing, gifts because our validation apart from the approval of God. Be warned though that if you pray for fruit expect the ground around you to become hostile. In order to move in the opposite spirit there must be opposition. We must be broken in the sense that we know why don’t have it all figured out…and there are many who think they have it all figured out, me included. You know how the world will know we are His disciples? By our love for one another! (John 13:35) Yet do we see this today? We build bigger boxes then the next person and point finger while saying, “At least I’m not where that person is” meanwhile we are choking under the weight of own pride. But God’s grace is ever-present to lead us all out of our boxes into glorious liberty which Christ purchased for us. And I speak with three fingers pointing back at me. If you need milk then enjoy it to its fullness but then get on with the meat course. But with meat comes a chewing process. It must be broken down to be receptive. Our experiences and revelation of God must not be a pedestal or esoteric secret knowledge because we are His friends and freely we have received we freely give. The enemy doesn’t attack our gifting, he attacks our character. The world looks at character. The world looks for stability of fruit. We must walk out our current revelation with character in order for us to be trusted with the next step. The fruit of the Spirit is the only launching pad where the gifts can fly with accuracy. You want gifting and revelation and experiences with God? Build a foundation of fruit in your life. Attach some pomegranates to your robe of righteousness. Mellow out your tongues with some love. Show grace. Be love. Be kind. Be gentle. Be self-controlled. Be joyful. Be patient. Be peaceful. Be faithful. Against such there is no law. Relying on gifting promotes your crown while character casts your crown upon the feet of Him who purchased it. For once it’s cast it become refined for a greater measure. And this must be a continual process. But you, when you pray, enter into your closet and lock your door, and pray to your father who is in secret, and your Father who sees in secret will reward you in public. It’s beautiful when the Father honors you with His Words for they are life. You know what the word Promise means? In Hebrew it means: dabar – speech, word, speaking, thing. In Greek it means: epaggelia – announcement. So when God speaks it is always in promise. But the promise sometimes in subject to our submission to it. So several months back a woman from my church had a message and several words for people in the congregation. I was the first one she spoke to and she had a dream and told me it. It was awesome. Another guest speaker, Wendy Backlund, had a word for me and this time I was the last one. It also was a powerful word. Then, someone I don’t know, randomly Facebook messaged me a word…and it was spot on and combined both the other words together! It’s like God saying, “Well done.” It’s an amazing feeling when God recognizes you. I know some don’t believe in this stuff but I don’t judge them based on lack of experience. Some, unfortunately have been injured and wounded by immaturity in this error. 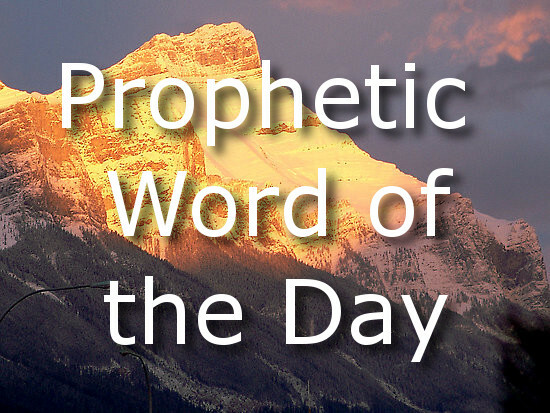 Wrong prophecy isn’t false prophecy…it is prophecy in training. God is working on us! That is why in the Old Testament times they had schools of prophets. Kinda of like Samuel hearing the voice of God and not recognizing it until Eli taught him (1 Samuel 3:9). We criticize new people in the prophetic and label them false but if a pastor or evangelist isn’t perfect then what? Notice this prophecy wasn’t used to complete the Bible, as some say prophecy was designed for. This prophecy was used to bestow a spiritual gift on Timothy by the laying on of hands. Timothy didn’t write Scripture. So why then did he need a prophecy? There is a difference between the office of a prophet and gift of prophecy but I don’t feel the need to get into that today. Some of mystified hearing God’s voice but the fact that some abuse a gift doesn’t negate its original design. There can only be a counterfeit if there is a real. So when you ask God for bread He won’t give you a stone…because some like to cast the first one they get. I am one of his sheep and I hear His voice and I follow Him and He confirms what has already been planted and watered in my heart and spirit and He will give the increase. Until the complete stature of Christ is manifest in His Bride these gifts and Offices are still needed. We still need Pastors, Teachers, and Evangelist so we still need Apostles and Prophets. Oh and by the way…without Love the whole shebang is worthless and white noise or a clanging symbol! Just like the Priests robe has bells and fruit(Ex. 28:34), we need both to operate all things in love. The gift of prophecy lines up with the fruit of goodness and it’s the goodness of God that leads to repentance. Amen and amen! Glory to God in the highest! Last week or so I felt that I heard in my spirit, “You have a Lincoln anointing.” Never heard of it but I have always liked Abraham Lincoln and have done papers in school about him. 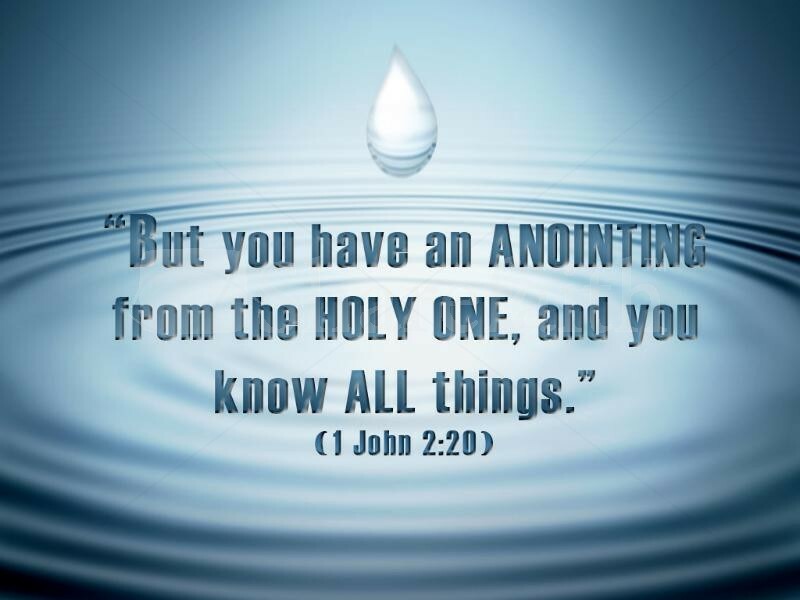 FYI I believe we have an anointing from the Holy One and when people talk about the anointing of so and so I think it more of picking up the reins or carrying on the mission of the person who either dropped it or has passed into full Glory. Anywhoo I did Google it and found one article about it on Elijahlist.com by Bill Yount. I have asked others and they have had the same word over them. I have ideas about what it is but not yet fully (Prov. 25:2). Has anyone else heard about this? I feel like it is a prophetic word for this day. I can’t say for sure but I was impressed to release it by alone by myself but also to post it on my blog, and now here being as this is my only “platform.” The word is from Genesis 45:8 and Exodus 7:1. 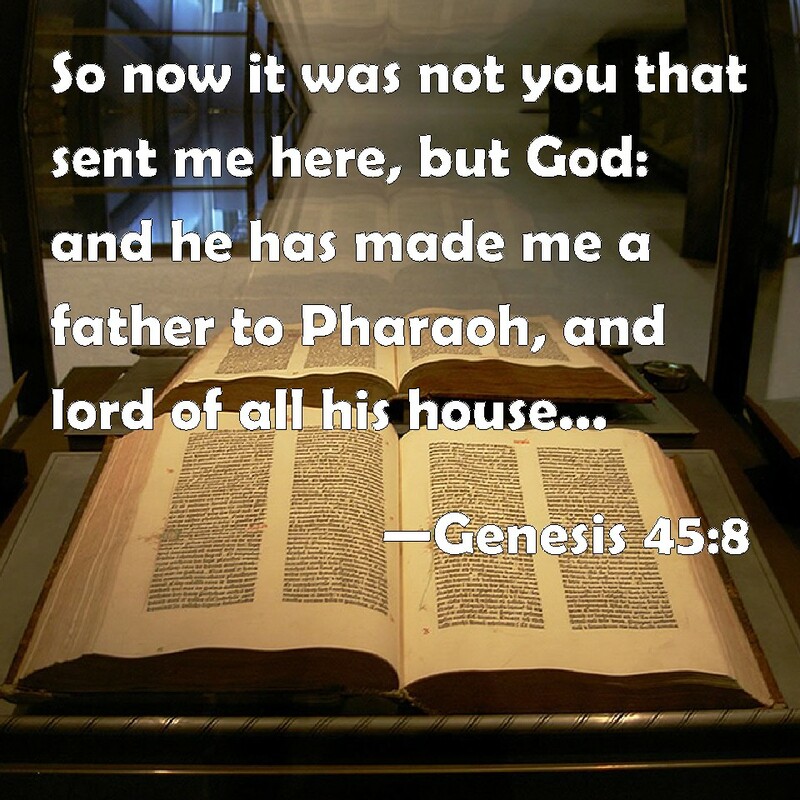 8 Now, therefore, it was not you who sent me here, but God; and He has made me a father to Pharaoh and lord of all his household and ruler over all the land of Egypt.